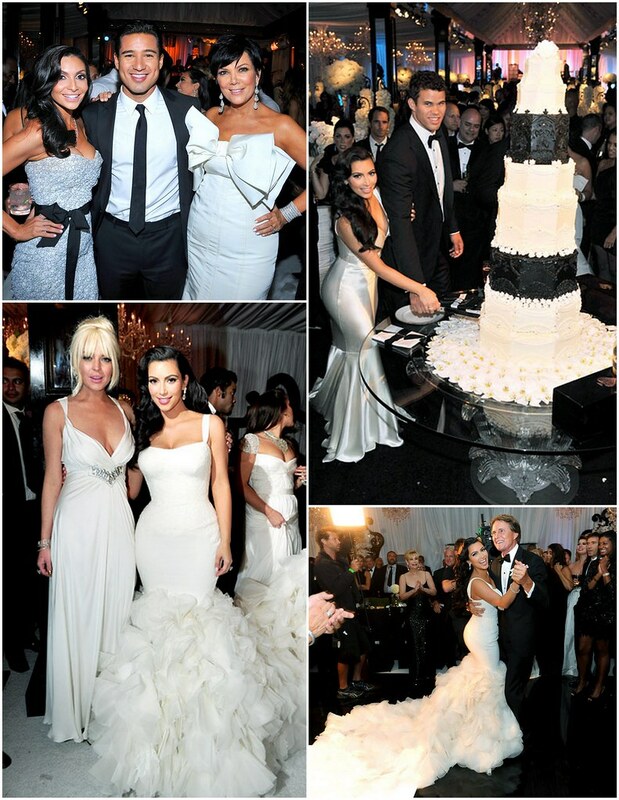 Kim Kardashian was one fortunate bride! 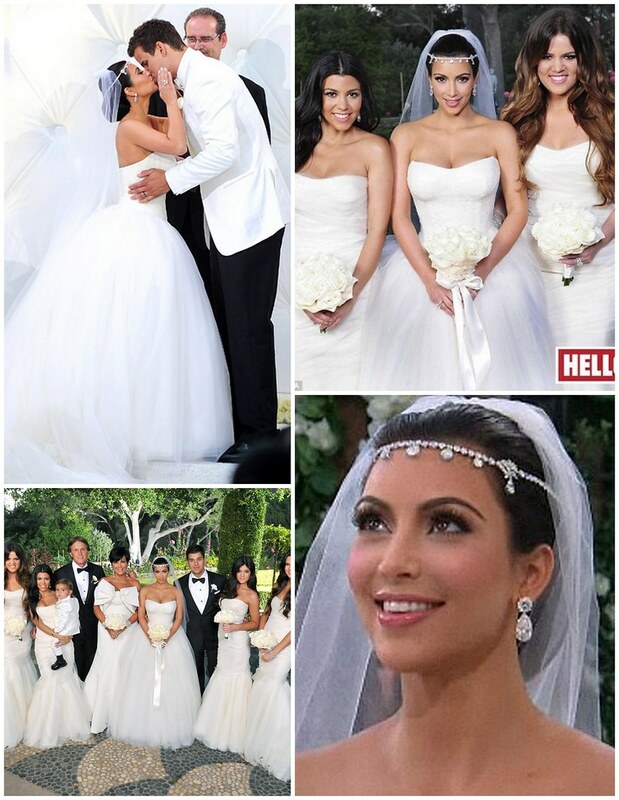 Not only did she get to marry her sweetheart, Kris Humphries, but her entire, lavish wedding was almost completely free. In fact, PEOPLE magazine paid $2.5 million dollars for the exclusive pictures and story of her wedding. Every detail of Kim’s wedding was incorporated into her black and white theme: the tent, cake, linens, aisle runner and even her guests. As we all know, Kim loves fashion, so of course she chose three Vera Wang wedding gowns. And, following the trend set by newlywed Kate Middleton, Kim’s bridesmaids wore beautiful ivory dresses. During her ceremony, Kim wore an airy, elegant princess gown paired with a beaded cathedral length veil. Complimenting this classic look, Kim wore her hair in a chignon adorned with a diamond band. When Kim arrived at her reception, it was in an old Hollywood-inspired mermaid gown with a diamond comb tucked into her curls that fell down to one side. Then, she cut the cake wearing a glamorous sleek bias-cut gown. To find your own dramatic hair pieces and jewelry similar to Kim’s, visit us at our New York bridal accessory boutique! This entry was posted on Friday, September 30th, 2011 at 8:26 am	and is filed under A Wedding Story. You can follow any responses to this entry through the RSS 2.0 feed. You can skip to the end and leave a response. Pinging is currently not allowed.